Space may be the final frontier, but it’s already commercial. 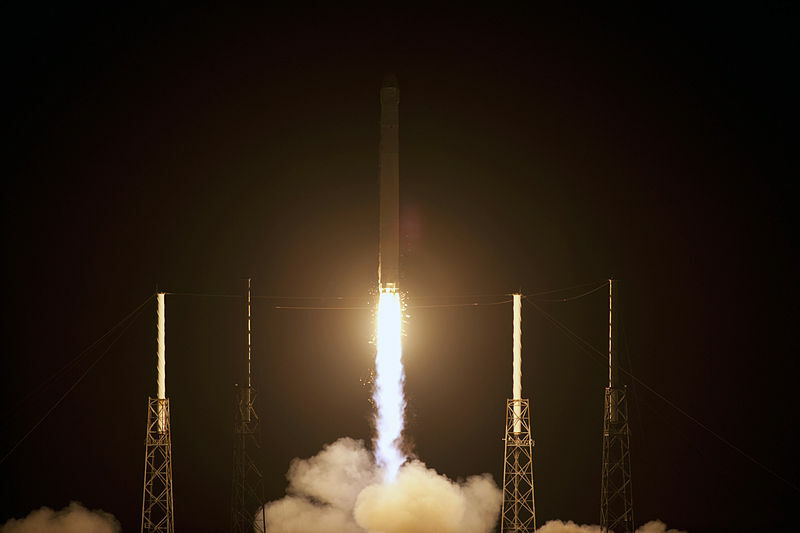 SpaceX’s privately launched capsule began its journey to the International Space Station on Tuesday, becoming the first of its kind. Space exploration started out as the mother of all public-private partnerships but, at least in the United States, the private sector seems to be leaving the government behind. Seeing someone take an interest in space exploration is encouraging, but it’s just not the same without NASA taking the lead. Some might say that it doesn’t matter: if the private sector can do something better than the government, why waste taxpayers’ money? The ends should be the most important goal, so as long as someone is going into space, it should not matter whether they are a government agency or a private corporation. SpaceX seems like a major change in the way we explore space, but private companies have been involved from the beginning. Who do you think built the rockets? NASA may have run all previous space missions but, like any other government project, the hardware was produced by the private sector. 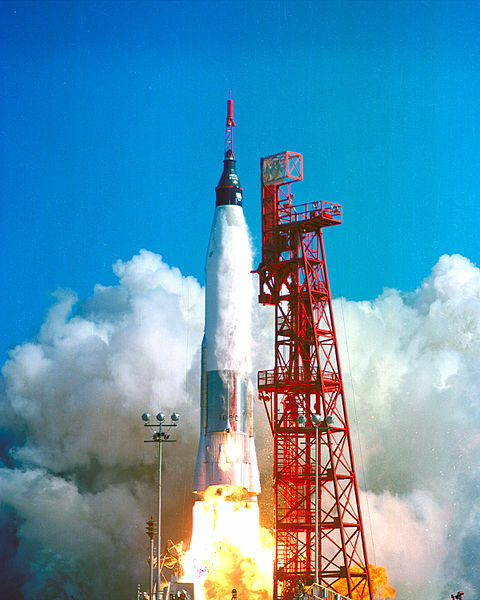 The Redstone booster that launched America’s first astronauts was built by Chrysler; the Mercury capsule was built by McDonnell. So why not cut out the middleman? Couldn’t private interests use their own resources more effectively? Not really. SpaceX will continue doing what it does as long as Elon Musk and his small cadre of investors have money to pour into it, and are still interested in going into space. That is why government involvement in space is so important. Where private companies only have their investors’ interests in mind, governments have an entire nation’s. SpaceX has shown what a small company full of dedicated techies can do, but imagine what several corporations, striving toward one goal, could do. At one time, such a collaboration was able to get men to the Moon. There is also the matter of money. In the end, private corporations need to turn a profit in order to exist, and sometimes that takes precedent over everything else. The future depicted in Star Trek is very appealing, but what corporation would want to fund Starfleet? Will space travel be more like the universe of Alien, where the Weyland-Yutani Corporation only operates spaceships for the sake of harvesting otherworldly resources? Launching privately-operated spacecraft is better than not launching any, but mankind should not settle. The United States should go into space on its on terms, not the terms of a handful of wealthy investors. Government leadership and private resources has worked so far, there is no reason why private interests need to go it alone now. A lack of conviction is no reason to trade the Enterprise for the Nostromo. Science fiction is pretty depressing. At least, that’s what Glenn Harlan Reynolds said in a piece for Popular Mechanics. 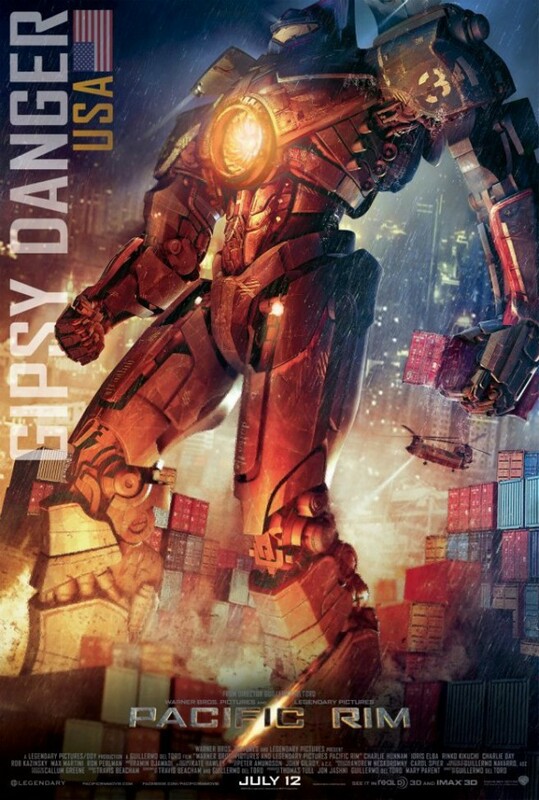 In his view current sci-fi, characterized by writers like Neal Stephenson, is too dystopian. Reynolds wants a renaissance of the upbeat sci-fi of the ‘50s and ‘60s, where science solved problems instead of causing them. I couldn’t agree more: today’s sci-fi is decidedly negative, which is odd, given how much we rely on technology. We live in the Digital Age. Our smart phones, computers, and tablets were science fiction a generation ago, and now they are like appendages. They give us access to people and knowledge that we never had before, yet they don’t seem to be the path to a utopian future. In the near-future America of Stephenson’s Snow Crash, computers are used to spread a neurolinguistic virus. In contrast, it’s hard to think of a sci-fi story about a hero who saves humanity by tweeting. The kinds of technology depicted in each sci-fi story may have something to do with this dissonance. 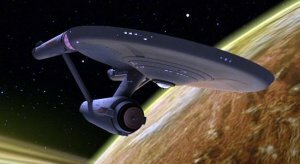 Star Trek is the most optimistic of classic sci-fi series; it’s about a future where war, hunger, and sickness are virtually eradicated with science. Does your iPad feed you? Is it as much of a technological achievement as the USS Enterprise? We are constantly being told that the Internet represents a revolution in human communication, but perhaps the people that harness it are thinking too small. NASA is being marginalized while brilliant young minds slavishly court “angel investors,” looking for cash for the next app or website. Shouldn’t they be looking to the stars? As for the sci-fi writers, they should take the leadership position they used to have. Science fiction used to chart the course for actual science, but not anymore. Dystopian stories that comment on the potential ramifications of our behavior are vital, but in addition to describing the problem, someone needs to describe the answer. Writers in the ‘50s and ‘60s could have exclusively written stories about nuclear war, but they didn’t. They tried to look on the bright side. People can sense that there is something wrong; if they didn’t, writers wouldn’t create so many negative works, and people wouldn’t buy them. That says a lot about us, as all good literature should. Fifty years after John Glenn’s flight, how far have we come? Fifty years ago Monday, John Glenn became the first American to orbit the Earth. His flight was the product of Cold War paranoia, a “Space Race” that was part scientific endeavor, part arms race, and part national ego trip. Who would have thought that, 50 years later, the flight of Friendship 7 would be viewed as a quaint historical episode? In 2012, the Cold War is long over and the Space Race has been nicely compartmentalized within it. In some ways, the American space program is worse off than it was in the early ‘60s: since the retirement of the Space Shuttle, Americans have been hitching rides on Russian spacecraft. How’s that for irony? When my high school history class finally got to the 1960s, the teacher decided to skip over the Space Race because, he claimed, it had no greater relevance. It is easy to see his point: space exploration sprung out of the competition between the United States and the Soviet Union, and didn’t really develop after the two sides resolved their differences. Now, the Cold War seems almost nostalgic in an era of terrorism and globalization. Nonetheless, space could still be an important part of American policy, if people were willing to invest the time and money that they did in the ‘60s. The Mercury and Apollo programs were triumphs of public-private partnership: the government provided the cash and oversight, private contractors provided the tools and skills. NASA told McDonnell that they needed a capsule for John Glenn and the other astronauts to ride; McDonnell built Friendship 7. Wouldn’t a project like that be valuable today? 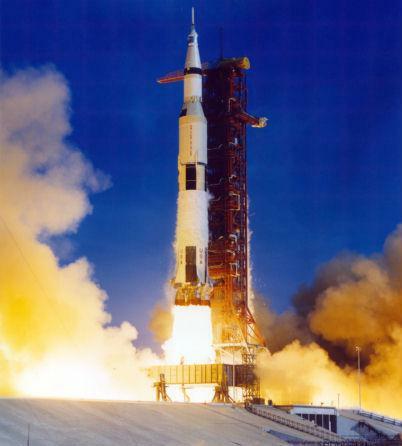 The space program created jobs and made America a world leader in science, two things the U.S. needs to happen again. Project Mercury showed what can happen when everyone, government officials and private contractors, liberals and conservatives, work together in a single, national, effort. Instead of bickering about how money is spent or complaining that one’s rights are being infringed upon every time we don’t like a new law, Americans need to focus on the bigger picture. Everyone looked up when John Glenn took off 50 years ago; who will replace him? It’s been one week since the Space Shuttle Atlantis lifted off for the final time, and I still have not gotten over it. Some people were glad to see the Shuttle go; they say that making it America’s only space vehicle limited space exploration to the crafts’ range and payload capacity. But they’re missing the point. America’s space program has always been about showing what the nation can do when it needs to prove to other nations that it is better than them. When we got to the 1960s in high school history, the teacher said he was not going to teach the Space Race because it did not have a long-term impact. He was right: NASA was born of Cold War desperation. The Soviets had launched Sputnik and the United States needed to do something to keep from falling behind technologically. Americans were afraid the Commies would use their mastery of space to train scientists and develop technologies that could render the West uncompetitive, or unleash a hellish rain of nuclear projectiles. Cold War paranoia drove the Space Race, encouraging the government to fund research, build bigger rockets, and ultimately send humans to the Moon. Now that the Cold War has been over for almost two decades, it is difficult to understand why we bothered. Space exploration has yielded few tangible benefits besides bragging rights and memory foam. Given that, and the fact that an iPod Nano probably has more computing power than an Apollo Command Module, it is easy to see why so many people don’t believe we were ever on the Moon. Without the Cold War, NASA seems like an expensive luxury, something Republican Congressmen would scoff at. Most people don’t pay attention to Shuttle launches, but the few who see them in person say it is an unbelievable experience. Science may be important, but that awesomeness is still an important part of why the United States sends people into space. Astronauts and NASA boosters get dewy-eyed about pushing the limits of human endurance and knowledge, and this has something to do with that. The Space Shuttle and NASA’s other manned missions have pushed human limits but, more importantly, they did it in full view of the American public and other nations. They showed that America could build the most complicated machine in history, and routinely blast men and women into orbit with it. The space program shows that the U.S., government and citizens, can accomplish difficult tasks many thought impossible, even if they have no bearing on the daily lives of the average person. That propaganda role may seem unnecessary in the post-Cold War world; radical Islamist terrorists don’t care about how many rockets we have. However, with China poised to overtake the U.S. in the all-important economic category of buying stuff, and anxiety over the debt ceiling, there is no better time for an expensive, complicated (possibly job creating) technological exercise. It’s time to stop pointing out the reasons why America can’t do things so we can start doing things. The Space Shuttle’s time may have come, but it is still a sad moment. It’s sad because the Shuttle will not be replaced with something better; that it won’t be replaced at all. The United States will not have a vehicle to take astronauts into space; we have essentially stepped backwards. To maintain our national pride, America needs a new spaceship. Call me when the Enterprise is ready.